As of third shift, a whopping 44 people have voted at the Guild Hall. It’s been a steady stream of people, with many hanging out to talk and catch up. There are no places in Guildhall where people can gather, since our General Store closed down, so people are lingering here. The conversation ranges from the weather, to farm animals, to Obama’s health care plan, to what the next school field trip will be. 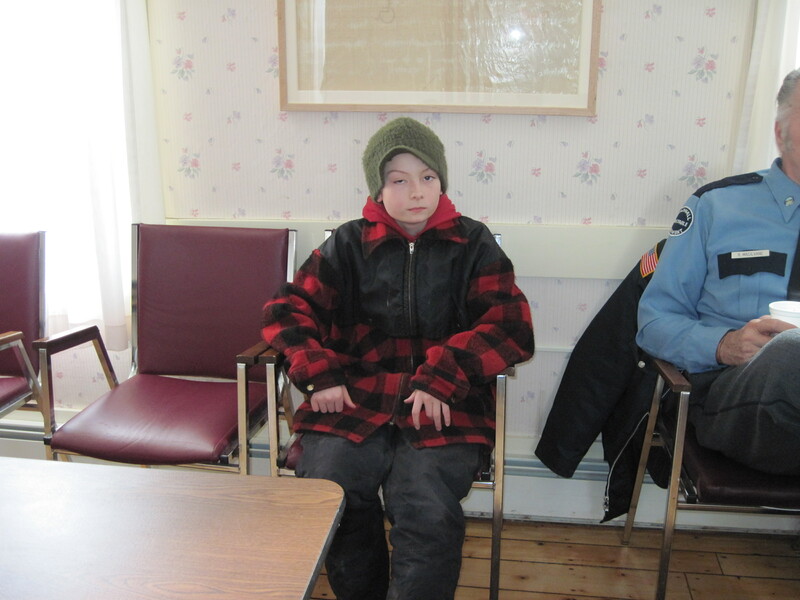 Here, Thomas Rogers–a future voter–sits waiting while his grandfather votes. 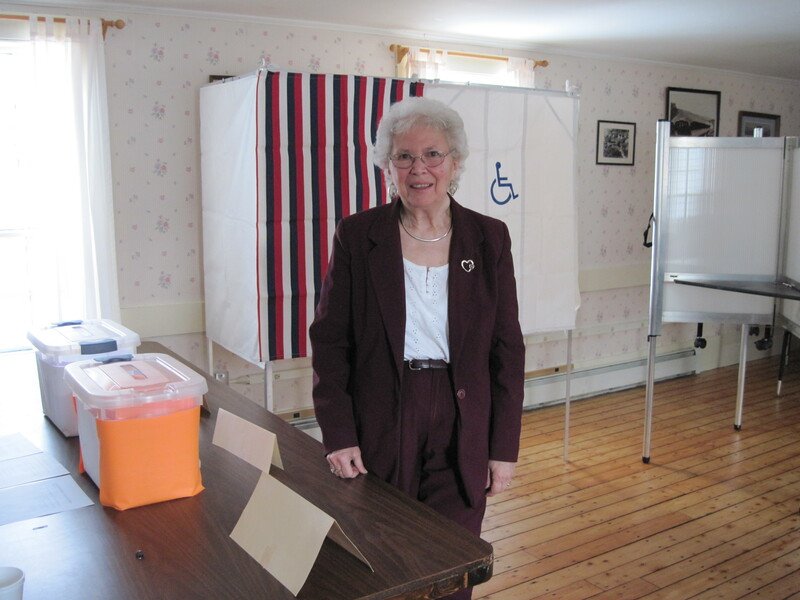 Claire MacIlvane, impeccably dressed, poses for the camera after casting her ballot. She’s a good sport! The Town Offices in Guildhall have a splendid, spacious kitchen. 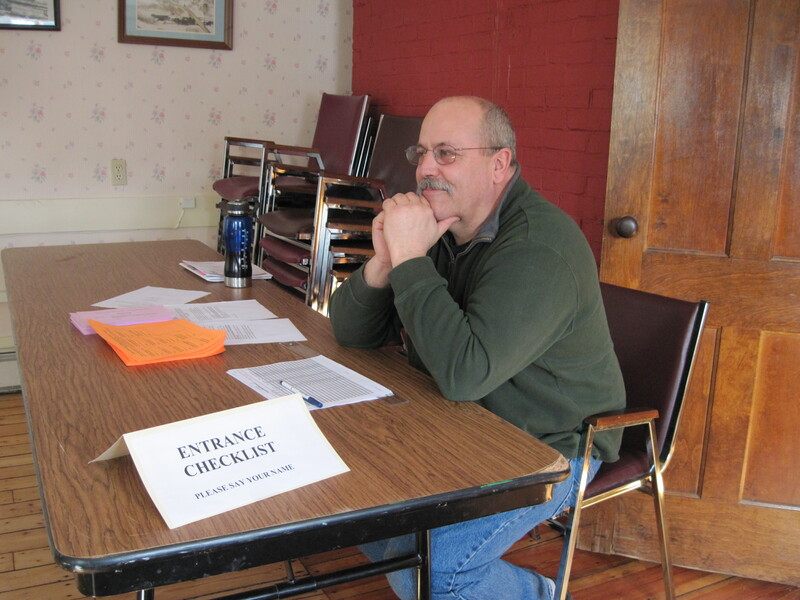 It hearkens back to the days when Town Meeting was an all-day affair, with lunch and supper served. Although I generally bring snacks for the election workers, there are no longer full-fledged meals, sadly. 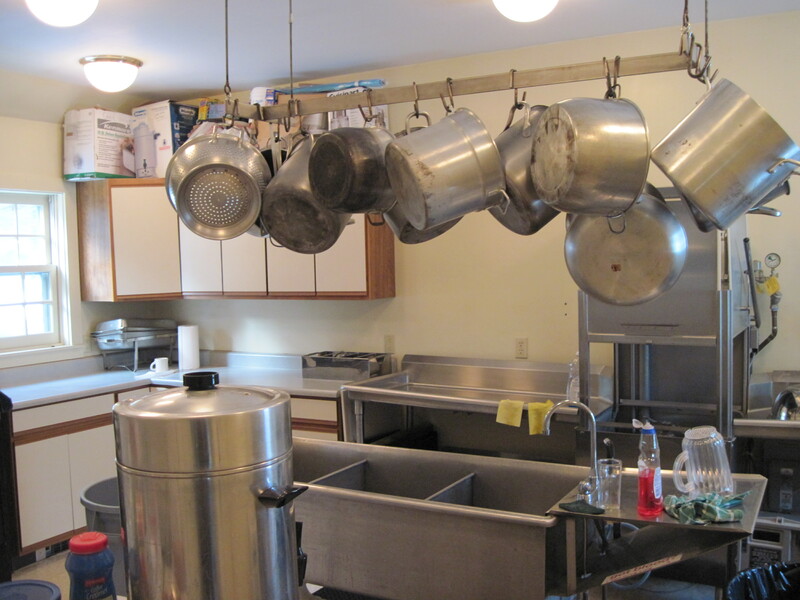 Some Vermont towns still have the suppers, usually served by school personnel or some charitable organization in town. I love the idea of townspeople hotly debating the issues and then sitting down for a convivial meal.